Nier was an admittedly slightly rubbish game that became a cult classic thanks to wonderful art and music. This game is something else entirely. 2010’s Nier was a great idea. The game had a style and attitude thanks to the strong vision of Director Taro Yoko, and a team of composers headed by by Keiichi Okabe gave the game such a strong musical identity that the score took on a life of its own among fans. But then there was the game. 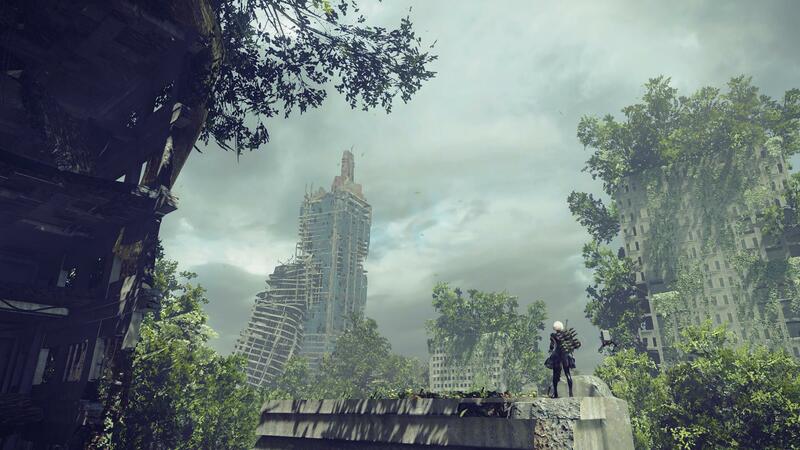 Nier was filled with bright ideas but seemed to lack either the budget or the energy to make those ideas shine. The game has gone on to become something of a cult classic, but it’s remembered for something very specific – its world, art, ideas and music. The game part is often better left forgotten. Square Enix knows this. 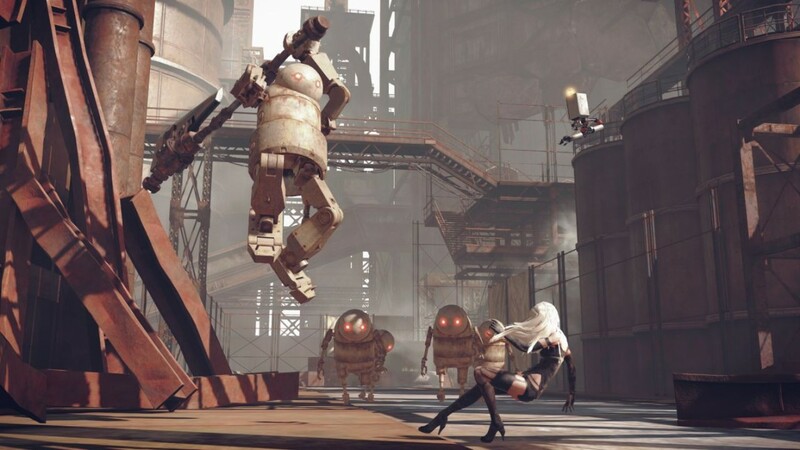 “It wasn’t exactly what we would call successful,” Nier producer Yousuke Saito offers as part of his opening remarks before pitching the game’s sequel. Nier Automata is the result of a serious rethink. 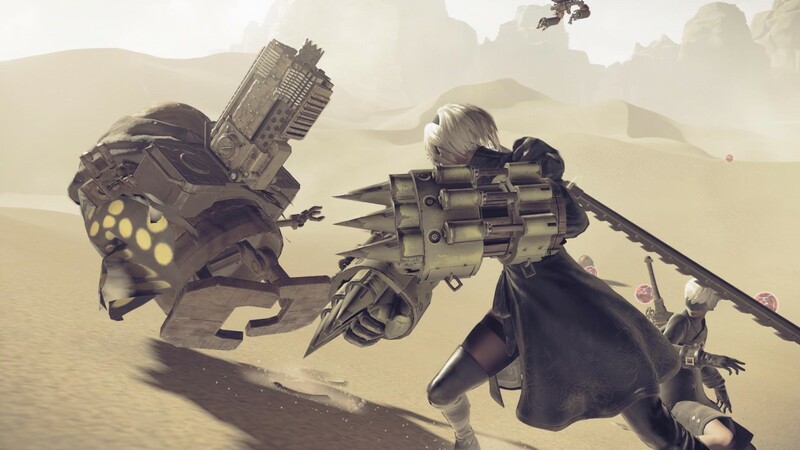 Nier’s cult classic credentials make the series worth following up on, but simply producing a game of a similar B-tier quality to the first isn’t the aim of Saito or Yoko, who returns to the director’s chair. The desire to produce a more satisfying game to actually play this time around led to an unexpected partnership. JRPG house Square Enix hooked up with action afficionados Platinum Games. This seems like a match made in heaven, and after a little time with its team and a brief hands-on I’m convinced it is. It quickly became my favourite demo of Gamescom. Square has consistently struggled to marry the action-driven turn RPGs have generally taken with its traditional games. This has been best exemplified in Final Fantasy 15’s meandering journey from fully-fledged action game to a more intricately designed halfway house, but Nier Automata doesn’t worry about trying to please everyone as FF15 does. 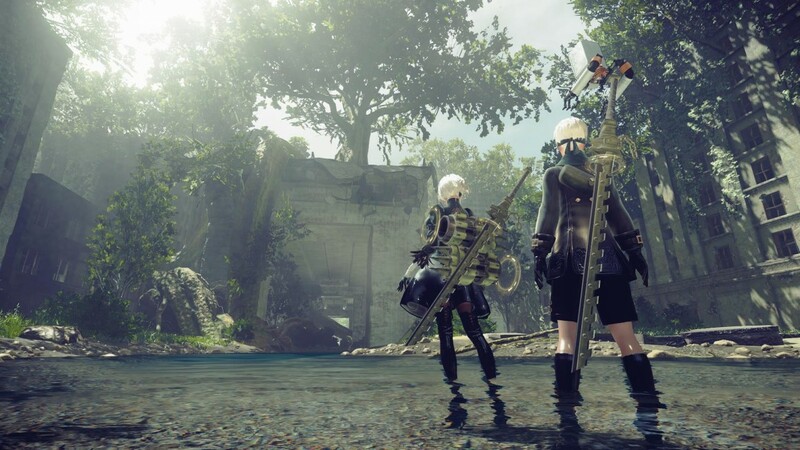 Square hired Platinum, Saito explains, because “they’re the best at what they do.” The intent is for Nier Automata to be a fully-fledged RPG too, but the team has first built a set of action mechanics that an RPG will then be built around. This is clear in the demo I’m shown. The game is still a little way from release, but I’m not shown or given access to any RPG menu meta or the like. At this top level the game resembles a Platinum brawler like Bayonetta, but it’s a bloody good one. I surprisingly get to go hands-on. The demo I play in front of the developers (which is a bloody nerve-wracking thing to do) isn’t actually a slice of the game but instead a challenge room that spawns enemies at you for a certain amount of time. The aim is to get a high score, basically. I’m proud to report that at the time on the final day of Gamescom I’d logged the joint-highest score of the week. I got to play Nier a short time after playing FF15 for the first time and both are Square Action RPGs, so a comparison seems fair. FF15 is a game that tries to please a larger audience and so has more mechanics and more going on. There’s optional stuff like Wait Mode and the ability to either hold a button or tap it more rhythmically in combat. This all works well for what FF15 is, but Nier is a straight-up action game. By comparison, it’s ludicrously simple. Taping square performs a light attack, Triangle heavy, and Cross jumps. On one of the triggers there’s a dodge, while other triggers are taken up with things like a long-range shooting attack that can be manually aimed or locked on with another trigger. This is the most simple possible demo: me in a square room with a bunch of enemies… but it feels great. It’s the most fun I have all week at Gamescom. It’s responsive and slick, and the entire time the frame rate is rock solid and fast. Soon enough I’m stringing together rudimentary combos. The player character has two sets of two weapons and you can switch between them even mid-combo with a tap up on the D-Pad. I begin to do so and at one point manage to dodge, land a hit, switch weapons and then lock the enemy into a little combo string. Behind me I hear Saito, the producer, exclaim in encouragement. I swell with pride, obviously, because I’m an idiot like that. In the hands-off portion of the demo Saito explains that Automata is still an RPG. “We are Square Enix, after all,” he laughs. We don’t get to see those features, but we do see glimpses of the gaps it will fill. I’m given a tour of a couple of sizeable zones and given the infamous ‘anything you see in the distance you can visit’ spiel in front of a vast vista. When pushed, Saito suggests that while it’s changing frequently during development, Automata will ultimately be around 60 percent RPG and 40 percent action game. But as the demo shows, getting that action right first has been a top priority. Square knows its RPGs, but its had a lot less luck with action. It’s the smart call. Players shouldn’t go into Automata expecting Bayonetta levels of combat complexity. By nature it’s simpler and easier to get into, a concession Saito says has been made to ensure RPG fans aren’t alienated. The dodge window feels particularly generous, as do the basic go-to combos. That said, there’s plenty of room for depth there and that’s what’s so exciting. The sets of weapons you can switch between have a lot of potential if paired with an RPG-style breadth of weapons, while additional skills and levelling up could have a great impact on combat ability as the game progresses. What I’m shown and play is all about the combat. It looks great. Saito also talks a good game about RPG mechanics that I hope turn out to be accurate. I also have more faith there – Square Enix Japan rarely gets RPG systems wrong. This is very encouraging. Best of all is that this is combined with what made Nier great. Yoko’s unique worldview is intact, Okabe’s incredible music returns, and there’s the excellent addition of art from Akihiko Yoshida, Final Fantasy’s oft-overlooked but finest art contributor. It takes a lot for a game to sell itself to you with just five minutes of combat but Nier Automata managed it. The potential seems enormous – I just hope its team can deliver on it. 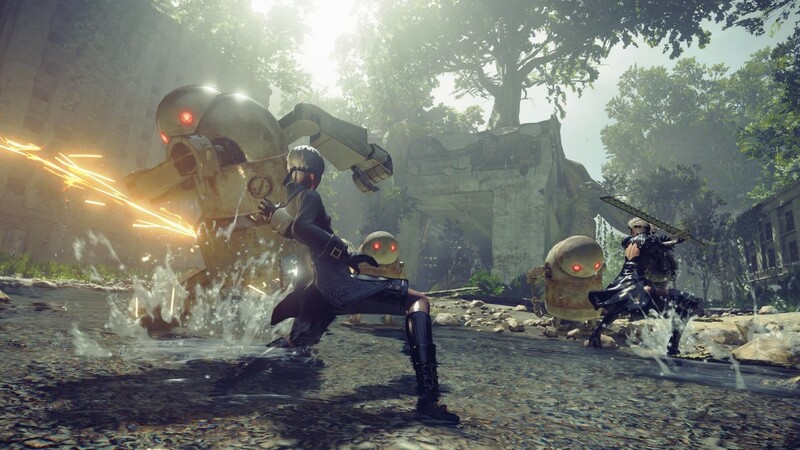 For all the bluster about FF15 as an action RPG to rival the big-budget Western beasts, I must advise you not to sleep on Nier Automata. Quietly and out of the spotlight it might manage to bridge the action and the RPG in ways that its bigger brother couldn’t dream of. Nier Automata is due for release in 2017 on PS4 and PC.